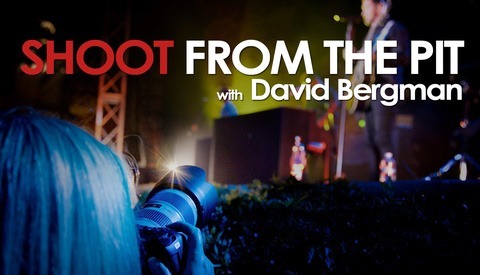 Successful concert photographer David Bergman has been shooting in front of screaming fans for years. His new workshop can land you right next to him in the shooting pit for one of his big-ticket clients. 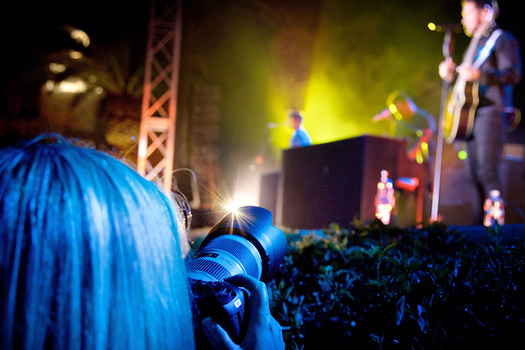 Concert photography is a discipline tried by many but mastered by few. Shows scheduled can be grueling and there is often competition lining up to do it cheaper than you. The best way to get ahead is to consistently deliver amazing results, and a great way to do that is to learn the ins and outs from someone in the industry. Bergman has come up with a great workshop idea. A handful of photographers will have the almost unheard of opportunity to shoot the "Beer Never Broke My Heart Tour" by American country music artist Luke Combs. The tour starts and ends in Alabama visiting 16 other states along the way. There are 17 total dates beginning January 31st and running through March 9th. Every arena along the way has already sold out so you are guaranteed an exhilarating once in a lifetime experience to photograph an award-winning musician right at the height of their career. The opportunity involves spending an afternoon backstage before the show learning the many "tricks of the trade" Bergman has picked up during his 25+ years as a working professional photographer. Later that evening, you will join Bergman in shooting the show from some unique hand-picked locations around the venue and ultimately, the photo pit. Once there, you will be able to put your hands right on the stage and feel the power of 15,000 screaming fans behind you. One thing you will also see is how hard these musicians work. Many years ago, I had the privilege of seeing the Canadian rock band The Tragically Hip show from up front in the orchestra pit. The endurance needed to perform was something I even had never thought of. The lead singer, Gord Downie, was drenched in sweat from head to toe. He put every ounce of energy into making sure the crowd loved every second. Musicians who make it to this level are true professionals and deserve to be captured in an equally professional manner. 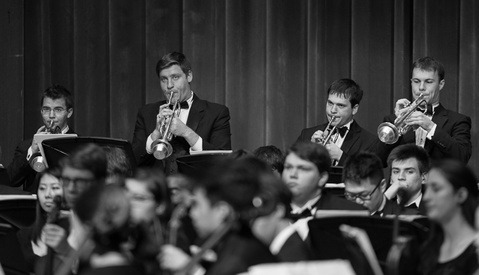 Concert photos with the right timing and mood can really convey the feeling of being there in the moment. These don't happen by accident though. Years of experience mixed with some trial and error, result in the ability to anticipate things before they happen. Split seconds can make all the difference so you need to make sure you are in tune with your gear and always at the ready. 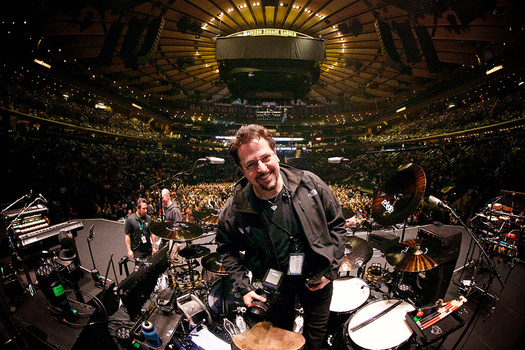 David Bergman has been doing concert photography for years and has over a thousand shows under his belt. 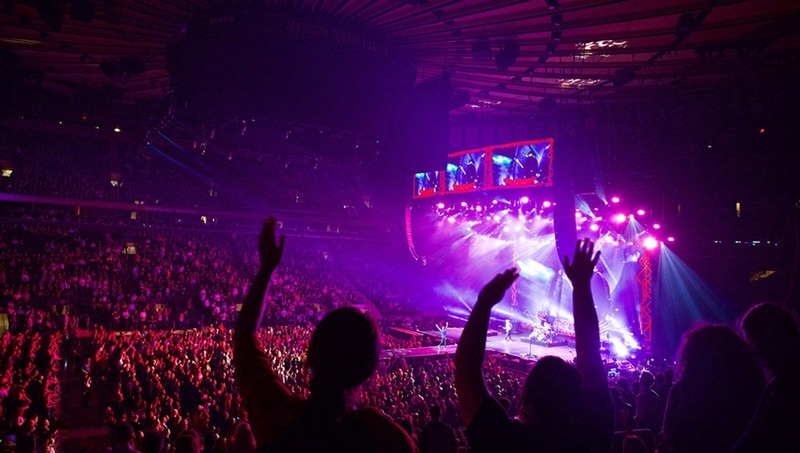 He is currently the official photographer a number of popular bands including the American rock band Bon Jovi. If that isn't enough to impress you maybe his 13 Sports Illustrated covers will get your attention. Adorama did an excellent feature on Bergman which you can check out below. The video highlights a number of the incredible concert shots Bergman has nailed over the years. Visit Bergman's Shoot From the Pit website for more information and to purchase workshop tickets. The site mentions that email list subscribers get early registration. That might be something to keep in mind for future sessions if things sell out. The website specifies that each workshop will only include five or fewer photographers making it very hands-on and intimate. It also says "top photo gear" will be provided thanks to some big names in photography so you may only need a memory card! Once again, all skill levels are welcome and encouraged to join one or multiple days for a more immersive experience. Lead photo used with permission by David Bergman. The likelihood of most photographers getting picked up by a major band to shoot is astronomical and the dream of getting paid to shoot concerts for the majority of us is a dream. With credentials like David has, I don't see him having a problem shooting anything, for the rest of us, it is a long hard road to stardom, just like the bands. I shoot thrash and death metal shows, instead of paying $600.00 to learn how to shoot in the best of circumstances, make some friends with a local band and follow them as they play shows. Learn how to shoot in poor lighting and crowded places, you will then truly appreciate the photo pit at a major show. 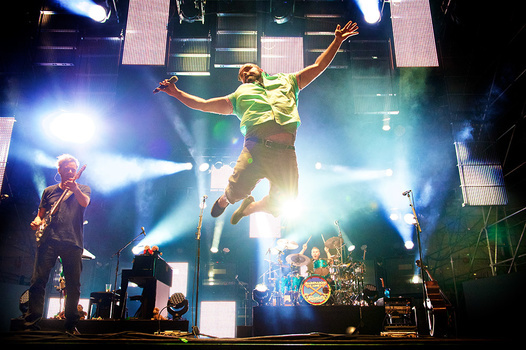 I just signed up for the Greenville, SC show not because I have any aspirations of becoming a photographer for a major band but it sounds like a blast. I like Luke Combs and this will be the first workshop I've ever paid for. I'll learn a ton from Bergman and I'll have a blast doing it. Ya, must be nice shooting when the stage is lit up as bright as the sun, and shooting artists who understand that it’s a performance. For the rest of us, we’re stuck trying to get any usable image from clubs that are literally pitch black for the entire performance and/or with that wretched smoke machine belching out its awful bile, shooting people who just stand there. Fast shutter speed is not an option. Flash is not an option. All we can do is lengthen out the shutter speed and/or open up the aperture wide open, and hope to get some ‘artsy’ blurred motion shots. I don’t want to take anything away from David Bergman, because those shots are amazing and he is absolutely living the dream. But, at least speaking for myself, the conditions I find myself in seem to be a whole lot more challenging than anything in his pictures. Exactly Brian!!! I have a number of friends who shoot concerts and we have noticed over the last couple of years things like only the headliners get good light, all the other bands play in the dark. Way too much use of fog machines. I walked out of a Decapitated show because of their fog machine use. A few years ago I was shooting Vader and the fog was so thick I could not see the vocalist and I was standing three feet away from him!!! Bands also don't do themselves any favors by asking for poor lighting for "ambiance" or effect. A local band I shot not too long ago told the sound/light guy to turn the house lights off and they lit their set with three bulbs on the floor in front of them and had two fog machines going!!! They asked where the photos were and I told them this is all I got because it was too dark and they were surprised by that!!! I recently shot Ensiferum on their tour and I see the photos they are getting from other photographers on Instagram, its not so much that the photos are better but the lighting is. Finding the perfect combination of band(s), location and lighting is getting really hard to do. Yes David's work is amazing, it should be considering he gets to tell the lighting people what he wants. Most of us don't have that option. We work with what we have. I own fast glass and can shoot at ridiculous ISO's with my Nikons. I know which venues are going to give me trouble and gear up accordingly. That is the reality for the rest of us. Now who is going to teach a seminar about shooting a show in a poorly lit club? Participants who sign up for the $600 “Shoot From the Pit” workshop, do they retain the copyrights to the images they capture (for non-commercial use only)? I didn’t see any information on the sign-up site. That is a good question. I'm not sure. I was almost certain that someone other than the workshop participants would own those copyrights. This is a wonderful surprise for creatives! I hope the participants understand (learn) that they should timely register their (music) images with the US Copyright Office—but that’s another topic.